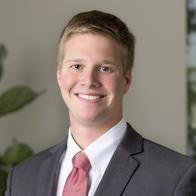 Kory Lenz is a Financial Advisor at Morgan Stanley’s Client Advisory Center in Tampa, Florida. He works in serving the varied financial needs of the mass affluent, most notably individuals in the accumulation phase of their life, investors approaching retirement and retirees. He works with both clients who prefer to be involved in the investment selection process as well as those who require him to develop and execute a full-fledged financial plan managed by Morgan Stanley. Kory employs a holistic approach to his practice, meaning he handles both the asset and liability side of a client’s balance sheet. This approach enables him to address virtually any financial need a client may have. His overriding investment philosophy is goals-based. He conducts a detailed review of each client’s total financial situation to identify investment objectives. From there, he carefully selects the most suitable investment strategies with the potential to generate reasonable long-term returns without assuming a high degree of risk. Thoroughly familiar with Morgan Stanley’s broad spectrum of products and services, Kory recommends what is appropriate for the client. Even if it is the firm’s non-discretionary investment models in achieving a client’s long-term goals. Kory holds an undergraduate degree in Business Administration and an MBA with a concentration in Finance.